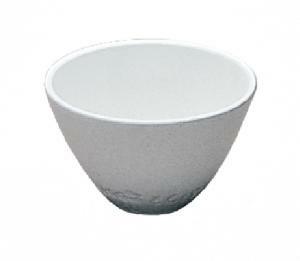 These low, wide crucibles are made from highest quality porcelain. All surfaces are glazed except the outside bottom and rim. Without covers.